Refurbishment | Reuby & Stagg Ltd. The refurbishment of old buildings to extend their working life and often for usage other than they were constructed for requires a sound knowledge of construction techniques and close attention to detail to ensure the structure is amended in a sympathetic manner. These are skills which Reuby & Stagg have and form a key tenet of our design approach. 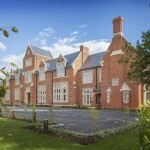 Former school redeveloped for 131 new houses and 59 flats. 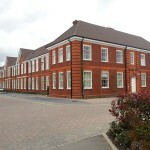 Crest Nicholson acquired part of the Southlands Hospital covering the Victorian element of the original hospital which included the East and West Lodges and the refectory building. The alteration of the two school buildings, Luker and Wormestall to provide apartments.